Awards and PR often seem to go hand in hand. Whilst there are ample opportunities to submit your best work for recognition amongst industry peers, I was particularly excited about this one! 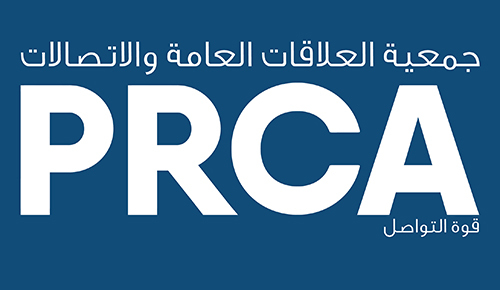 The PRCA MENA Awards held on February 8th was a first for the industry body in the region, since coming to the Middle East just over a year ago. I’d had the opportunity to attend a number of different workshops, seminars and training programmes over the past 12 months, as a result of being a member, so I’d met and networked with a number of my fellow industry colleagues before. This has been great in terms of learning from different people, sharing best practice and of course building friendships along the way. The Awards, though, provided the opportunity for our work to be judged by comms professionals from the industry internationally, and for us to see what other standout work is going on in the region; it was a night that I was thoroughly looking forward to. Rather than a traditional awards set up, with their black tie dress codes and sit-down dinners, there was a sense from the outset that the PRCA was trying to do things differently. Everything from the outdoor venue to the informal dining set up and dress code was refreshing, and certainly set the precedent for a different kind of evening. As a broadcast consultancy, my team at markettiers were on hand to film and create a short highlights showreel of the evening. The interviews we conducted provided us with some more insight about the diverse campaigns and accolades individuals and agencies were up for – and it was fantastic to speak to some of the bright young talent coming out of the region. It absolutely highlighted to me the excellent work that is being delivered every day locally – and the sense that there is a hunger and real ambition for the region to catch up with more mature markets such as London and the US. But most importantly, the night was all about celebrating success, and the campaigns that received their accolades did not disappoint. Whilst often I have the sense that the Middle East seems to be overshadowed by some of its more developed market contemporaries, this certainly was not the case here. Every campaign on the shortlist was selected because it pushed the boundaries, sought to inspire and delivered outstanding coverage. This was not just about traditional forms of coverage – the ‘influencer award’ and role that video content played in the finalists’ entries was both refreshing and exciting to see. Innovation it seems is becoming the watchword of a strong entry, and we’re excited to see what the PRCA has in store for the rest of this year, and beyond.